I’m just realizing that I haven’t updated my blog with my results from the first half of the season. Seems I neglected it for my twitter and facebook accounts. 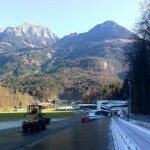 KOENIGSSEE, Germany (Nov. 25, 2011)- Brad Stewart (Hastings, Minn.) led the U.S. in the first skeleton Europa Cup race of the 2011-2012 season with a seventh place finish. The veteran athlete finished just one-tenth of a second from the top six results. 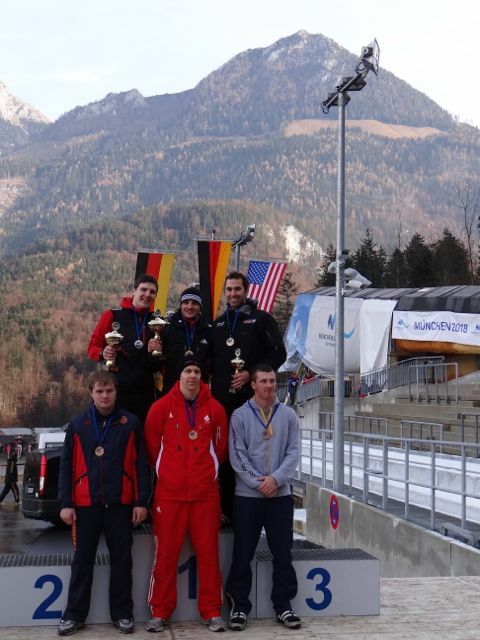 KOENIGSSEE, Germany (Nov. 26, 2011)- Brad Stewart (Hastings, Minn.) earned his first international medal today after claiming bronze in the second men’s skeleton Europa Cup competition of the season. Stewart raced ahead of 30 entrants on the challenging Koenigsssee track to once again lead the U.S. team. 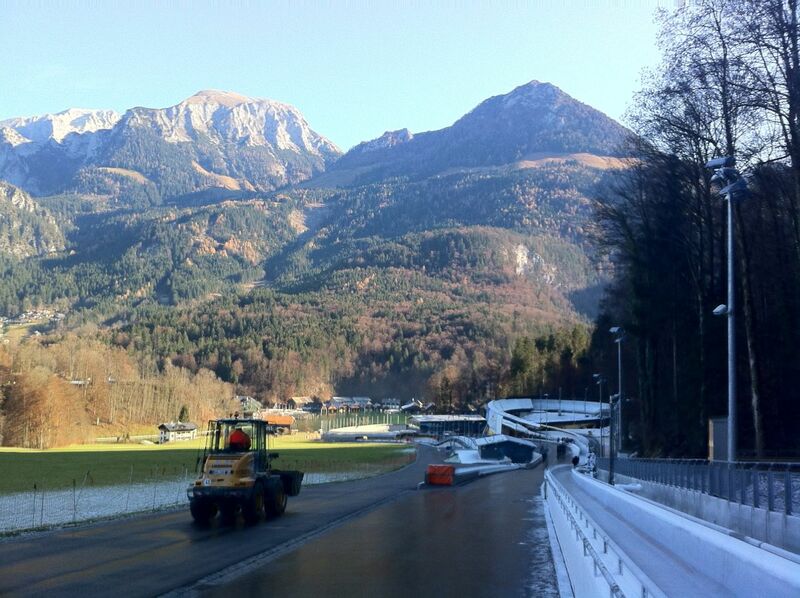 I ended up having to skip the next to races in Altenberg, Germany for a number of personal reasons and will be returning to the Europa Cup for races 5-8 in Igls, Austria and Winterberg, Germany the first two weeks of January, 2012. Seeing her son race down a snow covered track is nothing new for Hastings mother Sandy Blankenship. Seeing him race down head first at 80 miles per hour just inches off the ground on a sled, though, is something she is still getting used to. It appears now, though, that it’s something she’d better get more familiar with – the sport will be in her son’s life for at least the next few years. 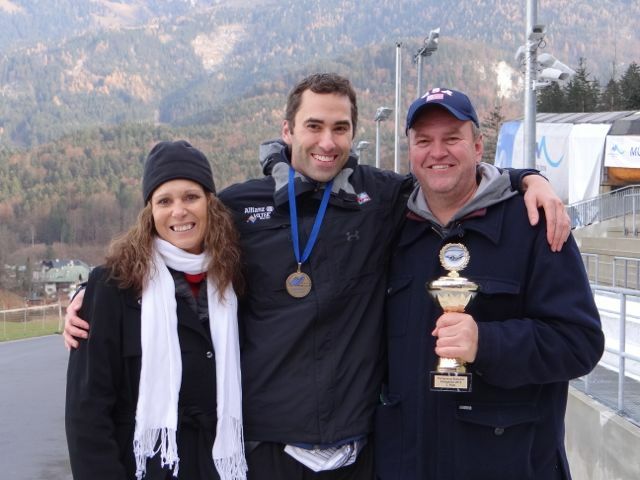 Brad Stewart, a 1998 graduate of Hastings High School, is racing with Team USA and has his sights set on the 2014 Winter Olympics in Sochi, Russia. The iconic entrepreneur of the information age is gone. We are all mortal. Steve more so than his peers it seems. But really he had no peer. There are great entrepreneurs all over the place. But Steve was better than all of them. He is a role model for entrepreneurs everywhere. And so many entrepreneurs use him as such. via A VC: What Weve Lost And What Weve Gained. At the F8 conference yesterday, Facebook CEO Mark Zuckerberg showed off some of the most drastic changes ever made to the companys service. And though Zuckerberg is excited by those changes, many folks across the Web arent so quick to celebrate. via Facebook changes creeping out some customers | The Digital Home – CNET News. Steve Jobs’ legacy isn’t the Mac. It’s not the iPhone. Or the iPad. His legacy is in the creation of Apple itself, reminding us that profit is not the ultimate goal, but rather a consequence of something greater. via Jobs made Apple great by ignoring profit | The Great Debate. Yesterday, John Gruber wrote that, “Jobs’s greatest creation isn’t any Apple product. It is Apple itself.” I’d like to believe the timing and execution of this resignation is meant to showcase exactly that. Jobs has spent decades shaping Apple into what it has become. He’s spent years training Apple’s employees on how to sustain the system in his absence. Now the training wheels come off with Jobs behind the bicycle just in case, for now. via One More Thing… | TechCrunch. Secondly, many people in the U.S. and around the world lack the education and skills required to participate in the great new companies coming out of the software revolution. This is a tragedy since every company I work with is absolutely starved for talent. Qualified software engineers, managers, marketers and salespeople in Silicon Valley can rack up dozens of high-paying, high-upside job offers any time they want, while national unemployment and underemployment is sky high. This problem is even worse than it looks because many workers in existing industries will be stranded on the wrong side of software-based disruption and may never be able to work in their fields again. Theres no way through this problem other than education, and we have a long way to go. via Marc Andreessen on Why Software Is Eating the World – WSJ.com. At the moment we’re trying to hire some seasonal IT workers and we’ve had a very, very small pool of marginally qualified people to choose from. This in the face of 9.1% national unemployment and one of the deepest recessions in U.S. history. It’s a very strange world right now in the tech field. Groupon’s great most of the time for customers but as a business it’s hard not to be a little skeptical of their future when you look at their financials. Seeing things like this doesn’t inspire confidence either. It is also worth noting that, in the history of the company, Groupon has raised a total of $1.1 billion of cash–and paid out $942 million of that cash to its early investors and executives (highly unusual for such a young company). If Groupon does get into cash trouble, therefore, it will not be because the company didn’t discover an amazing new business opportunity or raise all the capital it needed. It will be because of, well, greed. via Don’t Mean To Be Alarmist, But Groupon Is Running Low On Cash. While the investigation may have been going on before the downgrade of the U.S., I wonder if the investigation got a little more sense of “urgency” after it happened. via U.S. Inquiry Said to Focus on S.&P. Ratings – NYTimes.com. According to ABC11, the drivers insurance company offered to pay for one or two trips to the vet, after which the dog would be totaled. The company offered to buy Pinkstaff a replacement puppy. via Marcia Pinkstaff Has Dog Totaled After Hit By Minivan In Crosswalk.